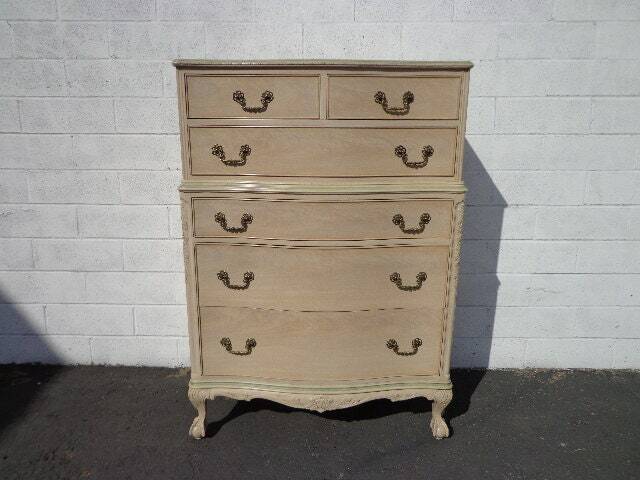 Exquisite and super charming Country French Empire Regency Chest / Tallboy / Dresser by highly reputable John Stuart. 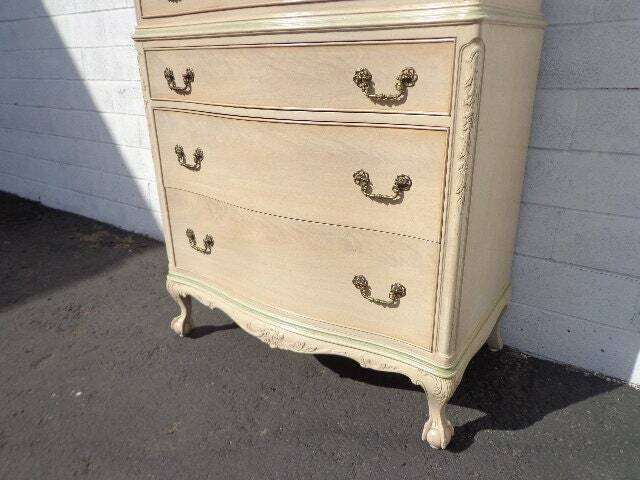 Classic Country French Provincial / Shabby Chic style dresser with ample storage and very well. 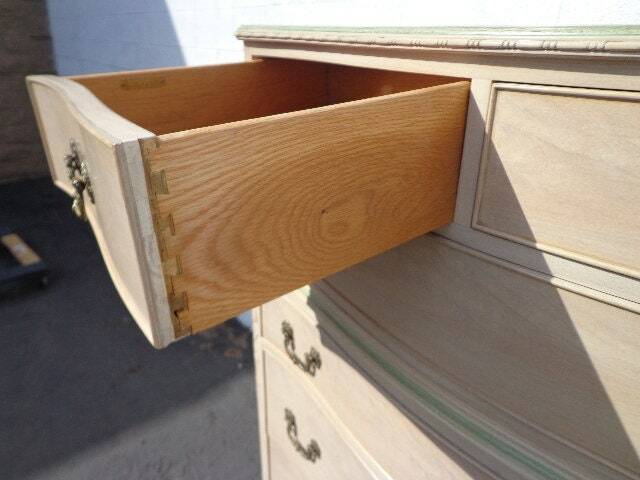 Features an appealing shape and offers 5 deep, dovetail drawers with decorative hardware. 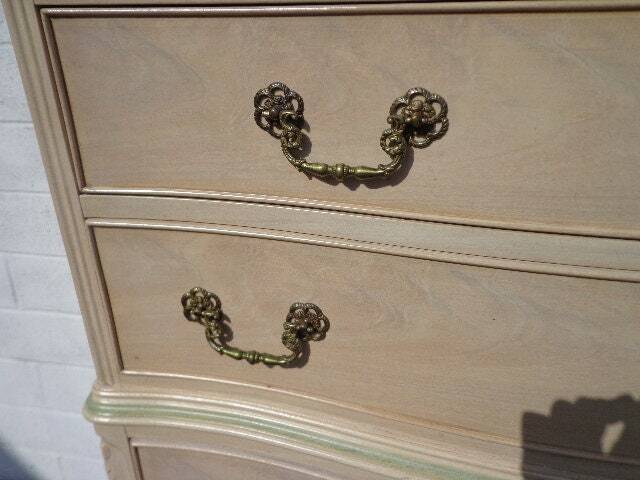 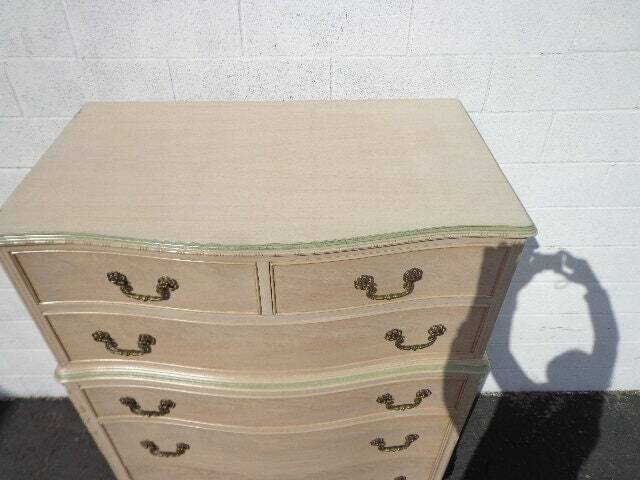 This chest of drawers would look amazing anywhere and will blend well with any style. 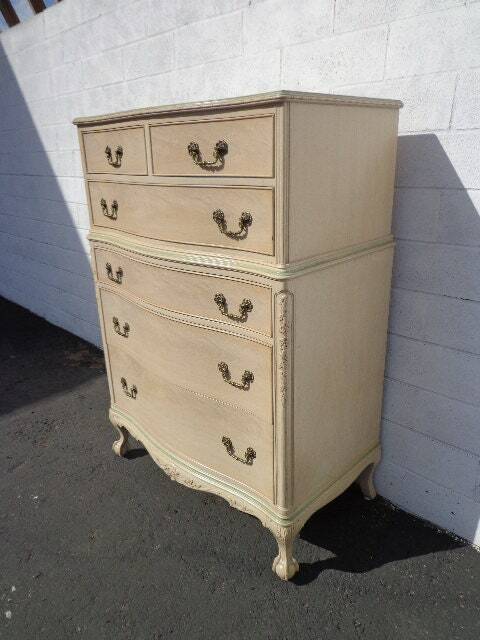 Overall good condition and extremely solid. 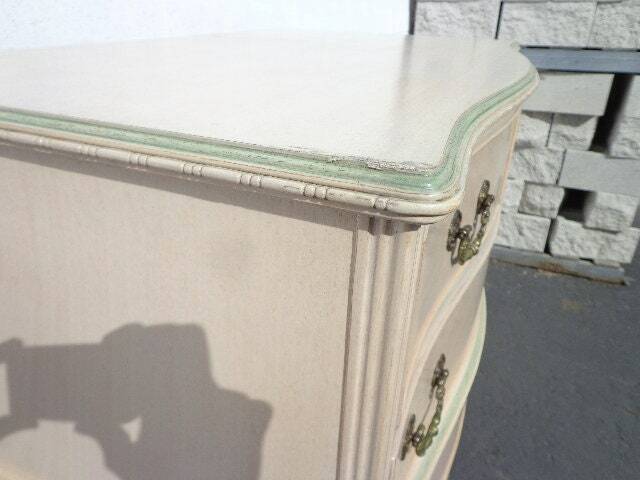 Shows some surface wear from its vintage age/use. 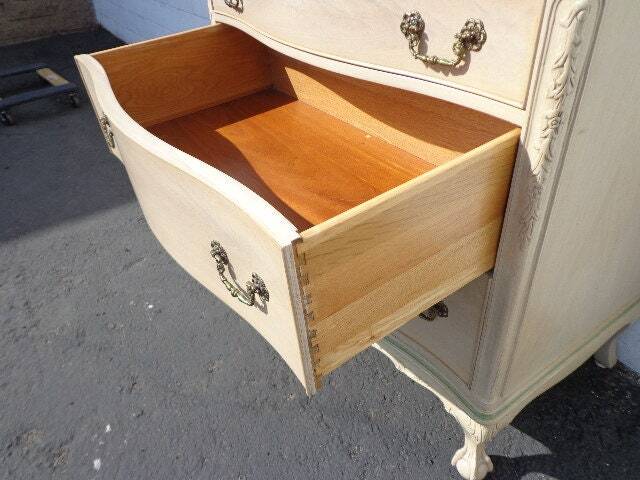 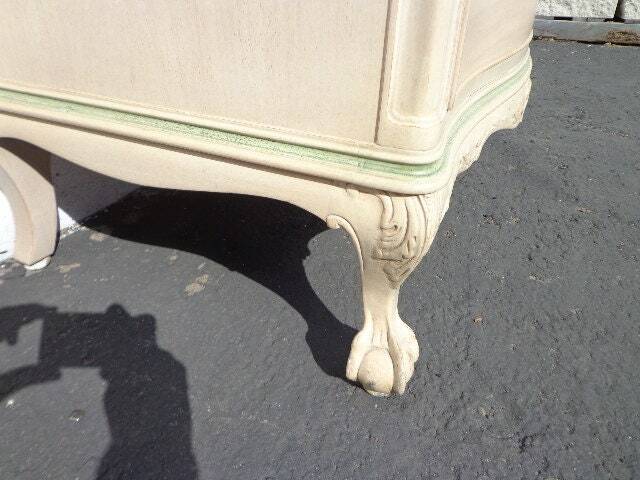 May need some refinishing. 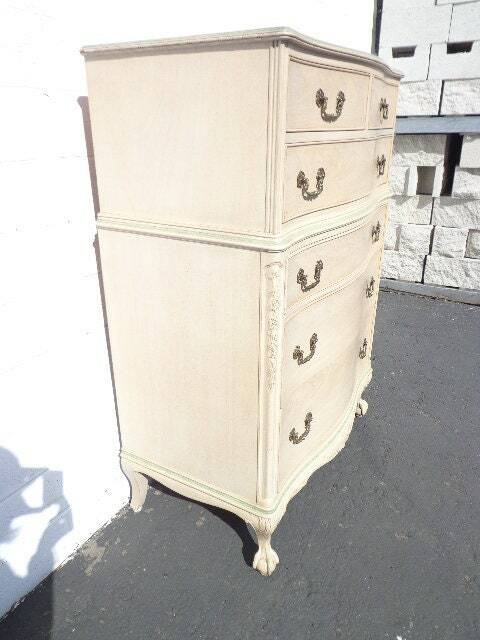 Dimensions: 36" x 21 1/2" x 51 1/2"